The 271 and 272 are the main route from Sheffield into the Peak District. They differ only in their route within Sheffield itself: the 271 serving the Royal Hallamshire Hospital Mon-Sat daytimes; and the 272 running direct via Ecclesall Road early mornings, evenings and on Sundays. Buses run hourly for most of the day. 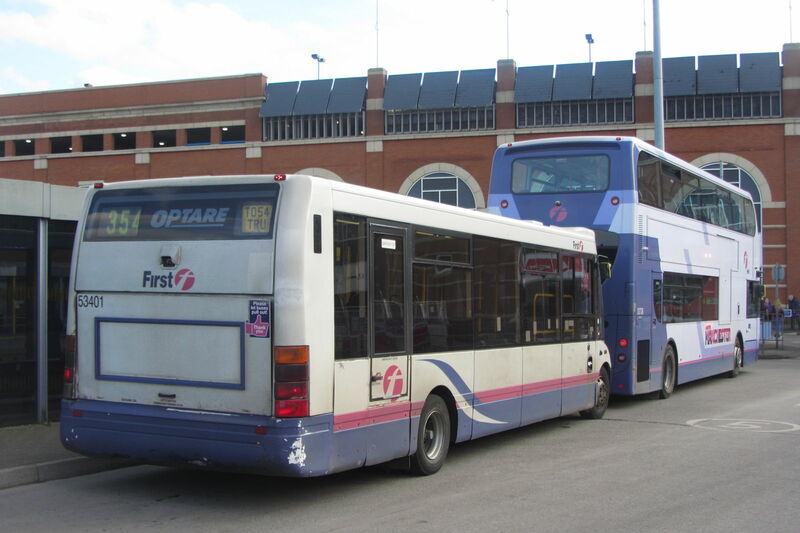 The majority of journeys are operated by First, but some are operated by Hulleys and one return trip very early each weekday is operated by TM Travel. The timetables on the operators' own websites only include the journeys operated by that particular operator, so use one of the timetable links above for the full picture. The cheapest day ticket that is valid throughout the route is the FirstDay Peak Explorer at £5.50 for an adult. It's only valid on journeys operated by First, but is also valid on all First buses throughout South Yorkshire. The Derbyshire Wayfarer ticket at £12.40 is valid along the entire route on all journeys on the 271/272 regardless of operator. It can also be used on almost all buses and trains throughout Derbyshire and on selected routes into neighbouring counties. Buy it in advance or from the bus driver. See full details of this great value ticket here. Discover more great bus routes across Yorkshire and the North East here. Discover more great Midlands bus routes here. Buses depart from stand D2 at Sheffield Interchange. See a map of the interchange with a guide to which services run from which stand here. See a live bus departures board for all stops at the interchange here. FirstDay Sheffield at £3.90 and FirstDay South Yorkshire tickets at £5.00 for an adult are valid on journeys operated by First on the 271/272 between Sheffield Interchange and Fox House Inn. They are also valid on all First buses in either Sheffield or South Yorkshire respectively. FirstDay Peak Explorer at £5.50 for an adult is valid throughout routes 271/272 but only on First buses. It can also be used on all First buses in South Yorkshire. The Hulleys Daily Hopper ticket at £6.00 for an adult is valid throughout the route only on journeys operated by Hulleys. It is also valid on the rest of their network. Derbyshire Wayfarer tickets at £12.40 are valid throughout the routes, as long as your journey either starts or finishes in Derbyshire. It is valid on most buses and trains throughout Derbyshire and on selected routes into neighbouring counties, of which this is one. Tickets can be bought on the bus. Sheffield Plusbus tickets, bought with train tickets to/from Sheffield or Meadowhall, are valid on the 271/272 from Sheffield Interchange as far as Parson House Farm. 271 buses to Castleton stop on the left, buses to Sheffield on the right on B6547 Glossop Road. The hospital itself is to the right. Sheffield Plusbus tickets, bought with train tickets to/from Sheffield or Meadowhall, are valid on the 271/272 from central Sheffield as far as here, but no further. FirstDay Sheffield at £3.90 and FirstDay South Yorkshire tickets at £5.00 for an adult are valid on journeys operated by First on the 271/272 between Sheffield Interchange and Fox House Inn. They are also valid on all First buses in either Sheffield or South Yorkshire respectively. To travel west of here, FirstDay Peak Explorer at £5.50 for an adult is valid throughout routes 271/272 but only on First buses. It can also be used on all First buses in South Yorkshire. The TfGM Wayfarer ticket, at £12 for an adult, is valid on all buses, trains and trams across the Peak District, Greater Manchester and into many neighbouring areas. It can't be bought on the bus, but is valid for travel on the 271/272 between Castleton and Fox House Inn. Peak District Plusbus tickets, bought with train tickets to/from Buxton, Glossop, Hathersage or Matlock, are valid on the 271/272 between Castleton and here, but no further east. Peak District Plusbus tickets, bought with train tickets to/from Buxton, Glossop, Hathersage or Matlock, are valid on the 271/272 between Castleton and Fox House Inn. FirstDay Peak Explorer at £5.50 for an adult is valid throughout routes 271/272 but only on First buses. It can also be used on all First buses in South Yorkshire. Peak District Plusbus tickets, bought with train tickets to/from Buxton, Glossop, Hathersage or Matlock, are valid on the 271/272 between here and Fox House Inn.